Knowing your rights and responsibilities when you move is a very important thing that you should be provided with a printed copy from your mover prepared by the Federal Highway Administration (FHA). The pamphlet contains regulations that you must read to protect yourself as a consumer on an interstate move. The mover, referred as the household goods carrier, and the consumer, the individual shipper of household goods, both have to adhere to such regulations. Your responsibility as a consumer begins with the right selection of a reputable mover, ensuring that you understand the terms and conditions of the contract and what to do if a problem arises. The mover has the obligation to respond to all your inquiries and provide you with additional written information with the name of the company, phone number to stay in touch, and detailed procedures to submit any question of complaint. Written information must also include binding estimates. Consumers must be aware that any non-binding estimates may not be accurate because current charges may exceed the estimate. Another point to consider is the verification of the mover because many of them are household goods brokers that only arrange for the transportation, because they do not own trucks of their own. The pamphlet stipulates that no household goods broker should represent itself as a mover, and the activities of these are limited to finding an authorized mover to provide your transportation. 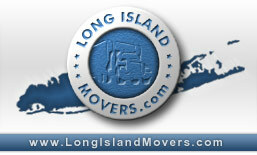 In any case, you should request from the mover or broker the availability of guaranteed pickup and delivery dates. Household goods brokers are not authorized to provide estimates on behalf of the movers they work for, and they are not responsible for loss or damage, either. Occasionally a household goods broker may offer you an estimate, but it may not be binding on the actual mover, because you are obligated to pay the charges the mover incurs. As for the movers, double check and understand their responsibility for loss or damage, requesting an explanation of the difference between valuation and insurance. All movers are obligated to offer consumers a dispute settlement program as an alternative means of damage claims or setting loss. If a mover only provides you with partial documentation for your signature, be careful. It is very important that you verify the documents as complete as possible before signing them. Mover's documents should contain all relevant information necessary to determine the final charges for all services the mover will perform, including basic shipping information. You have the right to be present each time your shipment is weighed, and request a re-weigh of your shipment at your sole discretion. On request, the mover must provide a copy of any tariff provision containing carrier's rates, rules and charges that govern your shipment delivery, terms that cannot be varied. The Federal Highway Administration (FHA) recommends that you get at least three estimates from different movers, but also warns you not to disclose information to the movers regarding their competitors, to avoid affecting the accuracy of their estimates. If you have doubts about a mover request complaint information from the Federal Motor Carrier Safety Administration. If the mover results in loss or damage to any of your property, it is your the right to file a claim with the mover to recover money for such loss or damage within the nine months following either the date of delivery, or the date on which the shipment should have been delivered and it was not. Last but not least, if you agree to move under a non-binding estimate, make sure to confirm with the mover the method of payment at delivery , whether cash , cashier's check, certified check money order, or credit card, and remember that all these arrangements should be made in writing.